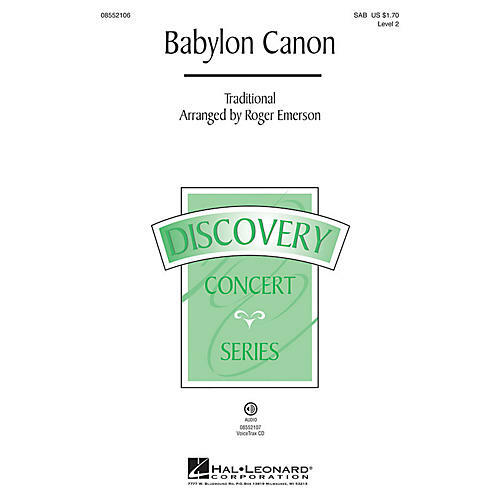 Based on the traditional canon By the Waters of Babylon, this mysterious, flowing selection will be a perfect introduction to part-singing while developing expressiveness and musical phrasing. Available separately: SAB, VoiceTrax CD. Duration: ca. 2:45.